Scroll this page to find all the existing cheats for Farm Manager 2018 (PC). 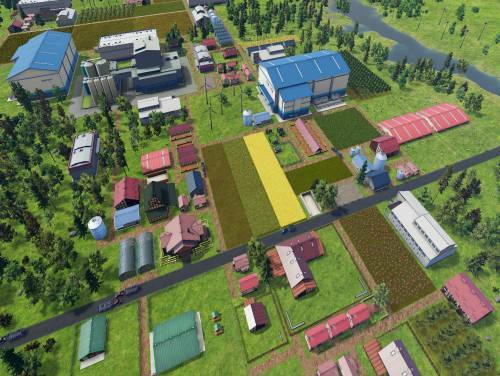 We present the page of Apocanow dedicated to the cheats and secrets of Farm Manager 2018! In it you find all the unlockables and strategies to get ahead in the game, overcome difficult parts and discover new parts of the game . Discover Cheats, Cheat Codes and Tricks for Farm Manager 2018 (PC): Change Cash and Resources Don t Decrease. The cheats in our possession are valid for PC and they should be all the valid ones since the game came out, that is 06/04/2018. We update the list of consoles every time if he adds a new one to the list. Farm Manager 2018 also has a promo Trainer available.If you download and run it while playing, it will allow you to get new features, usually additional cheats not obtainable in any other way.